What Is the Crux of a Soul? 7 Horcruxes - 7 Chakras? Lonely at his own will, with a severely fragmented soul, Lord Voldemort seems to have severed all connections imaginable. He has no interpersonal relationships; seeing no one on his level and treating anyone and everyone as his servant, if not even lower. But he has also lost so much contact with himself he does not even notice the destruction of the fragments of his soul. This begs the questions: what is this "bunch of atoms' the remainder of his soul that he still carries around with him, and what parts of his soul has he forcefully "ripped asunder" and relocated into Horcruxes? To understand what might be going on with Lord Voldemort's soul, this essay will first look at what the word "Horcrux" can tell us about the fragments of soul along with how they interact with people they come into contact with it. This will then lead us on to finding a parallel with the Eastern learning of the soul's chakras, allowing us to analyse each Horcrux in comparison to the corresponding chakra it would represent. J.K. Rowling defines her coined term "Horcrux" as parts of a soul, which have been torn off by murder and then stored outside of the body. Even one Horcrux makes the rest of the individual's soul unstable. 2 The questions arise: how much is ripped off each time, from where is it ripped off, what is the resulting instability of the soul and what effect does that have on the remaining soul? Dumbledore points out: "I do not think he understands why, Harry, but he was in such a hurry to mutilate his own soul, he never paused to understand the incomparable power of a soul that is untarnished and whole." 3 This leads me to believe that even a scarred soul is better than one with any parts missing. We also learn that the only way for the process to be reversed is remorse. The word "Horcrux" gives us hints as to what it might be. The first syllable "hor-" might fall back on "(to) hoard" in the sense of "to collect and keep large amounts of food money etc., especially secretly" 4 (emphasis mine). "Crux" is "the most important or difficult part of a problem or an issue." 5 In any case, the first syllable would describe what is happening with the latter, making "crux" the important morpheme of the word when trying to determine which part of the soul is actually taken and "hoarded" in an object. Going back to the definition of "crux' the part of the soul could be important and/or difficult. Taking into account that this part of soul is ripped off due to a murder, we could understand this as just some random part (a common take on Harry Potter discussion boards is that the soul might be halved each time) but this would contradict it being an important part. Furthermore, the detached part of the soul can only be reattached through remorse, an act that requires the person to feel, learn from their mistakes, and make the move to ask for forgiveness, be this from themselves, someone in particular, or globally. Remorse is a very conscious act, indicating that this part (or even these parts) of the soul have to do with the person's development and learning. Hagiographer13 & MirandaV: ... and the soul. Looking closely, however, we see that each Horcrux attacks slightly differently. The book feeds on Ginny's basic desires of acceptance amongst her family and friends, the locket feeds on Ron's strong emotions for Hermione, whilst Harry's scar supplies a strong link between his and Voldemort's mind. Might the Horcrux be attacking that part of its victim that it once was or parallels? Family ties; deep emotions; mind ¦ these and other things are mirrored in the Eastern learning of the soul, namely in the learning of the chakras. And it so happens that just as we have seven Horcruxes (including the accidental embedding of a fragment of soul in Harry) there are seven main chakras. Chakras are energy centres in the aura of a living being spaced out from the pubic bone (Root Chakra) to the temple of the head (Crown Chakra) (see Figure 1). In many Eastern cultures the steady development from one chakra to the next is crucial to a good and healthy life. Managing to fully develop all seven chakras results in enlightenment. 7 But even when not aiming for this high goal, the chakras individually support the life of the being. A trained scholar can trace and parallel their under- or over-functionality in illnesses or weaknesses of body parts, as well as mentally and emotionally. 8 The chakras interact and build the energetic field, the Aura, which in its turn is perceived by others, be this in the way that the opposite likes or dislikes being near the person, senses emotions or is trained to "read" this energetic field. Did Voldemort, in mutilating his soul, split off and discard these vital energy fields maiming himself of their strengths and the balance they bring? Instead of taking the route to enlightenment (i.e. developing all chakras from root to crown), which is seen in many cultures as the highest form of being, did he turn around and move the opposite way? Even more, with all seven of his chakras gone, what is left from the aura/energy field or even the soul itself? Has it really turned into a bunch of atoms ’ loosely held together by the immortality he craved? Let us first turn to the individual Horcruxes and see how they resemble the individual chakras. A simple book bought in Vauxhall Road 10 and never written in by its owner. A book with hidden brains, as Arthur Weasley says,11 that quickly engulfed Ginny Weasley and nearly succeeded in fully coming to life. It might be enough to look at what the book did to say it was not a simple book at all ’ but what does it symbolise to both Voldemort and us readers? In renouncing his father, he is renouncing part of his roots and heritage ’ the part he chooses to ignore and the link he does not want anyone to find out about: his Muggle background. It might seem contradictory that he chooses a Muggle object (a common diary even bought in a Muggle shop), but as he changes the Muggle object into a magically Dark and powerful item he symbolises his intention to change whatever Muggle is left in him into a magically Dark and powerful wizard. MirandaV: Well, he even felt contempt and expressed contempt. birthday twins: Yeah, well she was weak. He was already heading for that power. libbysmom: Well at first he thought she must have been a Muggle. The boy who had lost his mother to death wants to fight death on all costs. He gives up everything for this goal and, in so doing, sets out to rip his soul, refusing to accept this part of life. And the Root Chakra symbolises this: it stands for both family ties and the rootedness to earth, life and the acceptance of one's body. A poorly developed Root Chakra points to a difficult birth and/or problems with the mother-child bond.17 Tom Riddle, at this point in life, already tried to influence his being by making a Horcrux, thus trying to evade death. He might already be on the way to change his appearance into his snake-like self and indeed he never knew his mother nor accepted her apart from the Slytherin heritage she had provided him. In refusing to accept his body and position in life, he is thus refusing the basic and first step of spiritual development: the Root Chakra. To Voldemort this ring is "just" an heirloom, a prize he gained when killing his father and blaming his uncle for the murder. It symbolises the last act of severing his ties to his past, to any people he could call family if he were ever inclined to use that expression in this sense. To believers in and seekers of the Deathly Hallows the object has a completely contrary meaning: instead of killing, it's the act of bringing people back, but moreover, they don't seek to break any ties but rather to bring their loved ones close to themselves by calling their ghostly shapes back from the dead. It symbolises the power of reuniting with those passed on (though very egoistically). It is ironic that Voldemort uses this object, which strives to bring back the dead, whilst he himself is so afraid of the dead (his reactions to his victims prowling around him in the Graveyard speak volumes there 18). Yet it shows how little he sets store by the objects he uses ¦ even more what they are capable of. He is solely focussed on how he can use them to empower himself without a second thought for anyone else but himself and his plans. The Sacral Chakra stands for the sense of others, empowerment and sincerity amongst other things. It is the centre of mutual relationship to individuals like parental figures or a partner later in life 19 ’ Voldemort lacks this entirely, severing all ties and allowing no friends, whilst a user of the Resurrection Stone might go to the other extreme of being too selfish in his wish for being with his loved ones (even Dumbledore finds himself facing this urge and pays dearly for it with the curse cast on the Ring attacking his hand 20). Empowerment focuses not only on using any power one has but the ability to pass it on without "self-belittlement" or seeking "glamour and applause for its own sake." 21 Voldemort, however, drinks in the reaction of awe and fright from the people around him. Of Hufflepuff's cup we know the least. We receive no back-story of its past, information on its powers or even how it came to be put in the Lestrange vault at Gringotts. The only information presented to us is that it was a prized possession of Hepzibah Smith along with Slytherin's locket and we know Voldemort killed her (through her house-elf Hokey) 22 to gain these objects. Now, one might ask why we are looking at the cup first, seeing that chronologically the locket is found and destroyed first. However, according to J.K. Rowling the cup Horcrux is created with the murder of Hepzibah (the locket with a Muggle Tramp) 23 and it seems likely that it was created first. To Riddle it was just another founders' object, but could we also see it as the embodiment of the trophies he is collecting? Being presented with a trophy cup is an acknowledgment of the individual, the ego, and that leads us directly to the third chakra (Solar-Plexus), the centre of ego and of logic, opinion and assimilation 25 (Incidentally, the chakra is symbolised by the colour of yellow ’ the Hufflepuff colour). At first it might seem weird that with creating this Horcrux it would imply he is giving up his ego and striving for success. Riddle is so ambitious he's blind to anything but his goal, which makes him very egocentric. However, to obtain his goal he now goes even further than severing all ties to his roots (Root Chakra) and relations (Sacral Chakra). This fits perfectly with chakra lore where the Solar-Plexus Chakra is the result of the interaction of these first two chakras 26 and with ridding himself of his roots and any relationships he has reached the act of destroying the centre of his identity and the sense of who he is, his ego. This is the last time he is seen as Tom Riddle. Going completely off the radar after causing the murder of Hepzibah, he will resurface later with only a handful of people knowing who he once was (most of these being the first Death Eaters to join as they already belonged to his "gang" at school). He completely gives up his ego of Tom Riddle for the new figure he is striving to be: Lord Voldemort, a new man to his perception ’ and he did a thorough job of distorting his looks ’ but does this man still have a true ego? He definitely is striving for being powerful and indestructible, yet in doing so he doesn't understand that he is deconstructing that which he is trying to preserve at all costs. Contrary to Hufflepuff's cup there is a lot of back-story to Slytherin's locket from when we first see it hanging from Merope's neck 28 to its protection in the seaside cave,29 to Kreacher's and Regulus Black's sad story, 30 and to the strong influence it had on Ron. 31 All these incidents boil down to deep emotions and each person involved with their own kind of love. And indeed the symbolism could not be any clearer with the description of it feeling like a second metal heart beating on Harry's chest. libbysmom: He [Voldemort] was completely contemptuous of love [...]He didn't understand it, he didn't understand that it could be a motivating factor or a powerful force. To him it was just something stupid. Why would you feel that? If Tom Riddle ever had any kind of feelings for another being (questionable at best, but we cannot know for sure) he has fully discarded them when he leads Kreacher to the basin in the cave. With leaving Kreacher along with his newly protected Horcrux behind on the little island, surrounded by the non-feeling Inferi, he has fully severed any ties to his emotions and thus to his Heart Chakra. Both the island and the locket itself become strongholds of emotion to whoever comes in "contact" with them. The drinker of the green potion (green also being the colour of this chakra, yet again mirroring the House colour of Slytherin) endures emotional pain, the wearer of the locket is burdened, at the very least, with calamity and problems working a Patronus Charm (Harry) 36 up to emotional outbursts (Ron) 37 nearly causing loss of friendship. "Wit beyond measure is man's greatest treasure." 38 Yet in making Ravenclaw's diadem into a Horcrux, what part of his soul, what treasure, is Voldemort rebuffing here? The sentence engraved in the object leads us directly to the core of the matter as its history shows how blind want for it endangers its seeker. 39 It promises wisdom and, in its symbology of being a type of crown, it gives the wearer or owner the feeling of importance. Harry deduces Voldemort brings the diadem to Hogwarts when he reapplies for the Defence Against The Dark Arts position. All the wit and communicational skills he might once have been able to use seem to be non-existent as he faces Dumbledore. In his "interview" for the Defence against the Dark Arts job he completely loses the verbal battle and even displays this weakness when Dumbledore shows he knows about his followers and how he calls them.40 The man who once knew to use his gift of communication to charm his teachers into thinking he is a wonderful student, the eloquent buyer flattering his customers into selling their trinkets, no longer exists in the shell called Voldemort. The fifth chakra is the Throat Chakra. It indicates communication, responsibility, sense of humanity and not isolating oneself (again the chakra colour ’ blue ’ corresponds to the House colour of the diadem's creator). Voldemort, having fully isolated himself, intends to misuse the responsibility and the humanity of being a teacher and fails in communication, his only means of convincing Dumbledore not only to be appointed but to be accepted. He has not only lost his communicative skills, as discussed above, but also refuses to communicate his plans not only to Dumbledore but his followers too, making himself isolated. He also shows his intent to misuse responsibilities, because "as a teacher, he would have had great power and influence over young witches and wizards." 41 We can take Dumbledore's interpretation of Voldemort's intentions as correct here, which show that any sense of humanity is non-existent in this man's being. We now know that strictly speaking Harry is not a Horcrux; 42 an accidental one at best: "It was an accident. It was not the same as intentionally creating one. [...] We're using that word 'cause we don't quite know what else to call it. But he really wasn't a genuine bona fide Nagini-like Horcrux." 43 However, for the sake of this essay, he needs to be taken into account because it was still part of Lord Voldemort's soul in Harry. In the course of the books, the connection between Harry and Voldemort grows stronger. Starting with the ability of speaking Parseltongue, Harry soon develops into an "aerial" of Voldemort's emotions and thoughts. 44 He tries his hand at Occlumency and when he finally learns to control the link between their minds, uses this connection to track what Voldemort is doing. In short, he has direct and secret access to Voldemort's mind. He does not want to know and thus lacks the insight. Yet, unwittingly, he gives Harry an insight ’ a "third-eye view" ’ to his emotions and what is happening around him. I agree completely with Hagiographer13 here. Desperate to make his sixth Horcrux (unaware that he already has done so years before) Voldemort does not wait for a special item but takes the next thing that appeals to him. And yet the snake is not that random, as to him it symbolises his Slytherin inheritance and helps him to sustain his temporary body and regain his bodily form in the long run. That this is a living being, a mortal creature and even more one that has its own mind and can act on its own, does not seem to cross his mind or has become unimportant in contrast to completing the magical number of a seven-part soul. Figure 2 - Eastern depiction of Chakras51This highest chakra resembles the surrender to the pattern of life, trust in the higher self, and soul. 52 In comparison, Voldemort wants life to surrender to his terms, trusts nobody and being one to act on his own at all times seeing himself above everyone else does not acknowledge the concept of unity on any level. The piece of soul was "ripped asunder" and like a cation is attracted to an anion (this being oppositely charged ions) it tries to rejoin the master soul. This would also explain why each Horcrux attacks a person slightly differently, as observed at the start of this essay. Not being able to reattach to the master soul, it attaches or at least tries to influence its counterpart in the person handling it. Ginny is most vulnerable to the diary as she is seeking for acceptance by her family (Root Chakra), Ron is most vulnerable to the locket as he is developing emotionally (Heart Chakra). How these abandoned chakras would "use" their victims if they had succeeded in fully taking over, one can only guess. This restlessness of the soul pieces might also explain the unendurable pain Voldemort experiences when feeling Harry's love. The chakras in charge of love (both Sacral and Heart) aren't there anymore and, just as these would strive to rejoin the master soul, the master soul would struggle to access them, possibly causing this pain. JKR has now confirmed that in that scene we indeed saw the soul that Voldemort carried in his body. 56 So if he might not have been aware of what he had become, due to his many Horcruxes, his soul traveling along with Harry to that place might have subconsciously made him aware of what he had become and what he wanted to avoid facing at any cost. If that were the case, then in his course of trying to make himself immortal, he added to his list of reasons why he did not want to die. Somewhere deep down in his subconscious he might have known he would pay for what he was doing at some point. 1. Hagiographer13, GalleryCast #20, 0:49:58. 2. Rowling, Deathly Hallows, 89. 3. Ibid, Half-Blood Prince, 478. 4. Oxford Advanced Learner's Dictionary, 616b. 6. libbysmom, GalleryCast #13, 0:32:08. 7. Myss, Charken die Sieben Zentren von Kraft und Heilung, 102’5. 9. 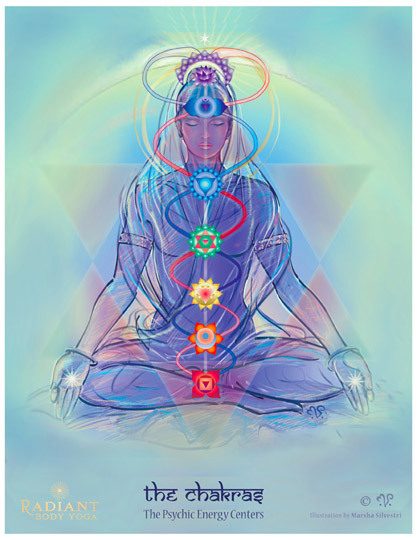 Image from "Chakra and Aura Chart" card, by Marsha Silvestri. 10. Rowling, Chamber of Secrets, 173. 12. Ibid, Half-Blood Prince, 472. 13. Ibid, Chamber of Secrets, 230. 14. Ibid, Half-Blood Prince, 254. 15. Ibid, Chamber of Secrets, 231. 16. birthday twins, libbysmom & MirandaV, GalleryCast #20, 1:07:18. 17. White, Working with Your Chakras, 23’25. 18. Rowling, Goblet of Fire, 577’80. 19. White, Working with Your Chakras, 43. 20. Rowling, Deathly Hallows, 546, 576. 21. White, Working with Your Chakras, 47. 22. Rowling, Half-Blood Prince, 410. 23. Ibid, "Webchat with J.K. Rowling' paragraphs 88’89. 24. Ibid, Half-Blood Prince, 408; Rowling, Deathly Hallows, 434. 25. White, Working with Your Chakras, 62. 27. Rowling, Deathly Hallows, 274. 28. Ibid, Half-Blood Prince, 196. 30. Ibid, Deathly Hallows, 158’65. 32. libbysmom & MirandaV, GalleryCast #20, 1:04:20. 33. White, Working with Your Chakras, 77’78. 34. Kundalini-Teacher, "Chakras: Empathy' paragraph 2. 35. birthday twins, GalleryCast #20, 0:40:07. 36. Rowling, Deathly Hallows, 234’35. 40. Ibid, Half-Blood Prince, 415’17. 42. Ibid, "PotterCast's JK Rowling Interview' paragraph 169. 43. birthday twins, GalleryCast #13, 0:57:33. 44. Rowling, Deathly Hallows, 239. 45. White, Working with Your Chakras, 106’7. 46. Rowling, Order of the Phoenix, 720, 743. 47. Ibid, Deathly Hallows, 568. 48. Hagiographer13, GalleryCast #13, 1:09:46. 49. White, Working with Your Chakras, 122. 50. Rowling, Deathly Hallows, 563. 51. Image from Esquina MÃ¡gica website, http://www.esquinamagica.com/images/cobra2.jpg. 52. White, Working with Your Chakras, 117’199. 54. Rowling, "PotterCast's JK Rowling Interview", paragraph 171. 55. MirandaV, GalleryCast #20, 1:06:29. Anodea, Judith. Lebensraeder ’ Das grosse Chakren-Lehr- und Uebungsbuch (German translation of: The Wheels of Life). Munich: Wilhelm Goldmann Verlag, 2004.
birthday twins, Hagiographer13, libbysmom & MirandaV. "Gallery Guru chat: Horcruxes." GalleryCast #13, 8 October 2007. http://gallerycast.wordpress.com/2007/10/08/gallerycast-13-horcruxes-the-anti-soul. ”””. "Gallery Guru chat: Voldemort part one." GalleryCast #20, 26 November 2007. http://gallerycast.wordpress.com/2007/11/25/gallerycast-20-pretty-fly-for-a-bad-guy. 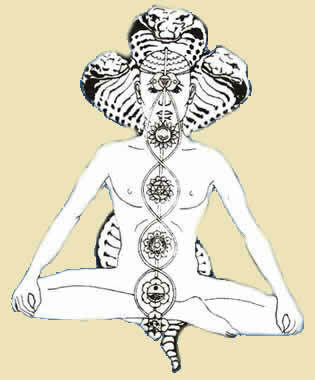 Kundalini Teacher. "Chakras: Empathy" http://www.kundalini-teacher.com/chakras/empathy.html. Myss, Caroline. Charen ’ die sieben Zentren von Kraft und Heilung. Munich: Droemer, 1997. Oxford Advanced Learner's Dictionary of Current English. 6th Edition. Oxford: University Press, 2001. Rowling, J. K. Harry Potter and the Chamber of Secrets. London: Bloomsbury, 1998. ”””. Harry Potter and the Order of the Phoenix. London: Bloomsbury, 2004. ”””. Harry Potter and the Half-Blood Prince. London: Bloomsbury, 2005. ”””. "F.A.Q: What exactly was the mutilated baby-like creature Harry saw at King's Cross in chapter 35 of ˜Hallows'?" J.K. Rowling Official Website. http://www.jkrowling.com/textonly/en/faq_view.cfm?id=121. ”””. "Webchat with J.K. Rowling 30 July, 2007." Bloomsbury http://www.bloomsbury.com/harrypotter/default.asp?sec=3. ”””. "PotterCast's JK Rowling Interview." The Leaky Cauldron /2007/12/23/transcript-of-part-1-of-pottercast-s-jk-rowling-interview. Silvestri, Marsha (artist). "Chakra and Aura Chart." Reference card published by Spiritual Touch, 2004. White, Ruth. Working with Your Chakras. London: Piaktus, 1993.